Rabbi Joseph Shalom Shubow Park is a treasured triangular greenspace at the convergence of Commonwealth Avenue, Chiswick and Sidlaw Roads frequented by young families and seniors. 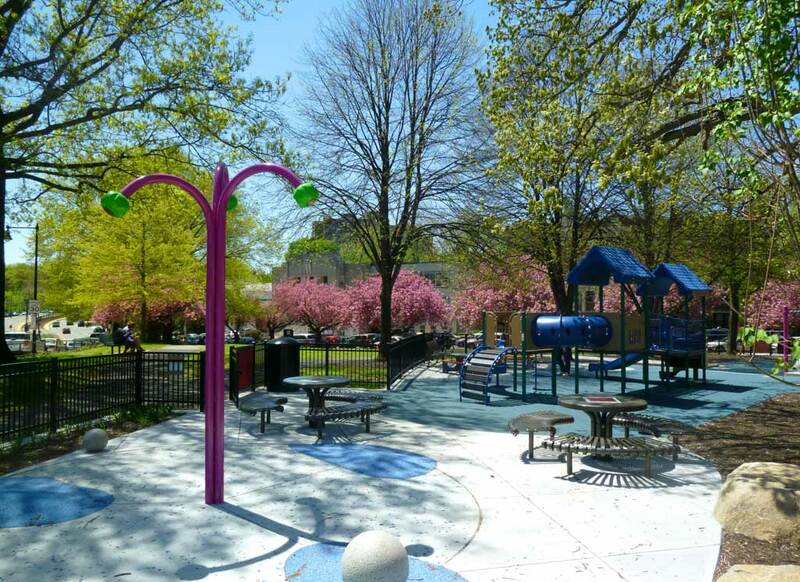 Mature trees provide dense shade for the play area located at the north of the site, while a row of cherry trees border the perimeter of the playground and open lawn to the south. Warner Larson facilitated a community process with Boston Parks that engaged major stakeholders and community leaders. 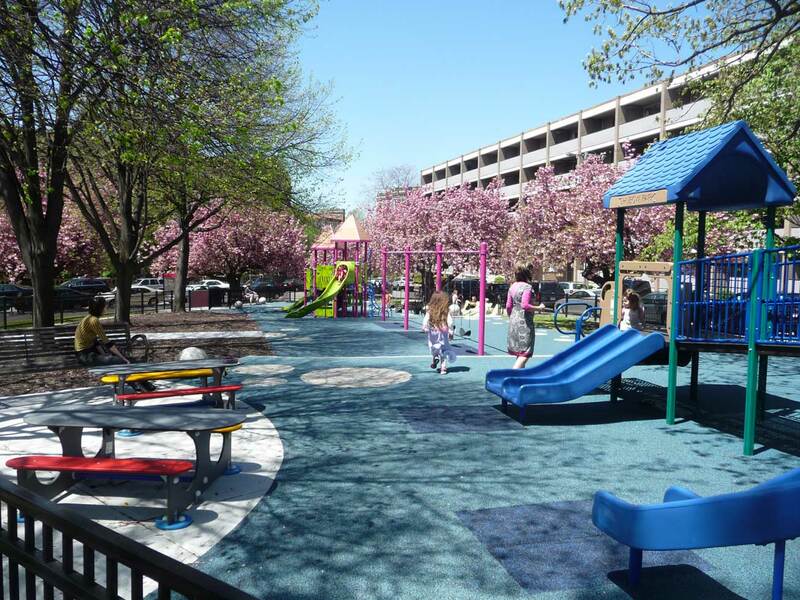 Reacting to the poor existing conditions, consensus centered around the need for a safe play are for young children and desire for water play while enhancing the comfort for parents and seniors. Our design solution transformed the play area cost-effectively by refurbishing the existing play equipment, introducing a single water play sculpture and providing contiguous rubber safety surfacing with slope transitions and engaging patterns to invite play. 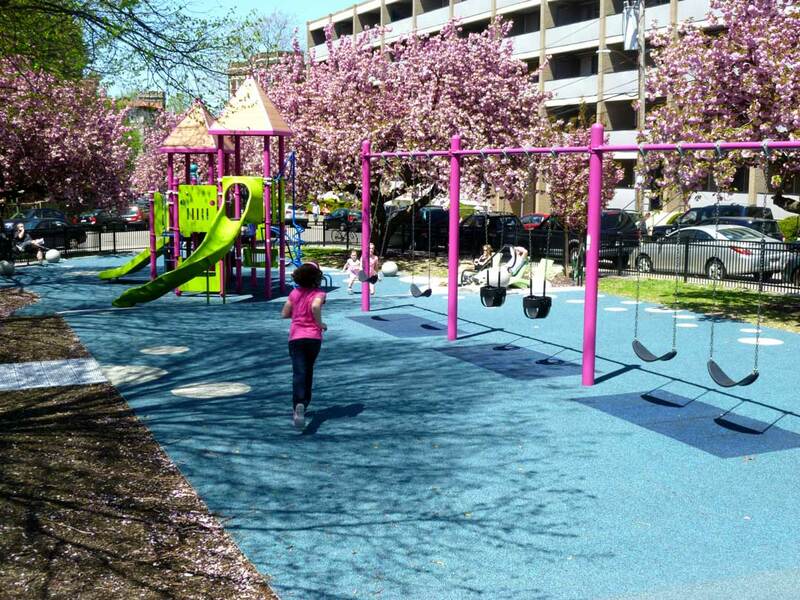 Inspired by the pink profusion of the ephemeral cherry blossoms, the existing play structures were painted pink providing dramatic, year-round identity. 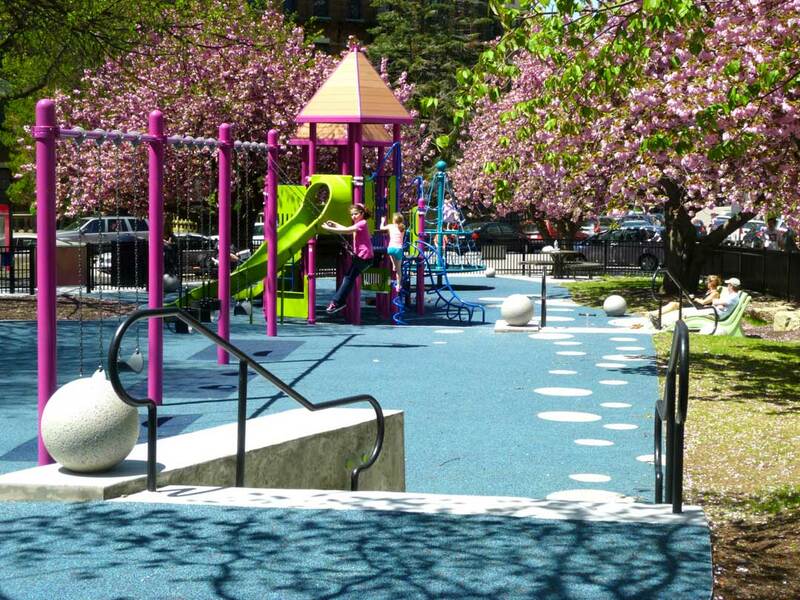 Warner Larson has had a longstanding relationship with Boston Parks and Recreation, providing design services for public spaces ranging from large multi-use facilities to small plazas and passive spaces. Warner Larson’s work balances technical understanding with creative design solutions that are responsive to public input as well as the standards established by our Department. They are a great partner in improving Boston’s open spaces for the enjoyment of all.